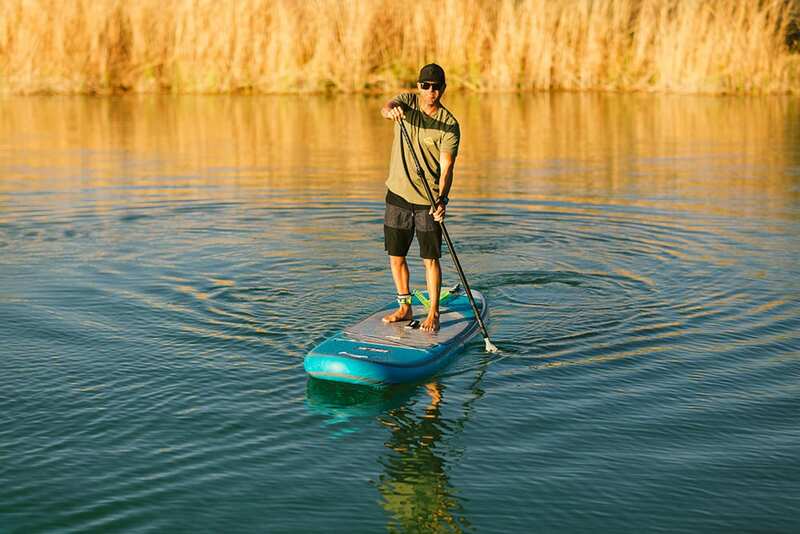 The go anywhere, do anything mid-sized inflatable paddle board is the perfect choice for flatwater paddling and small wave surf. 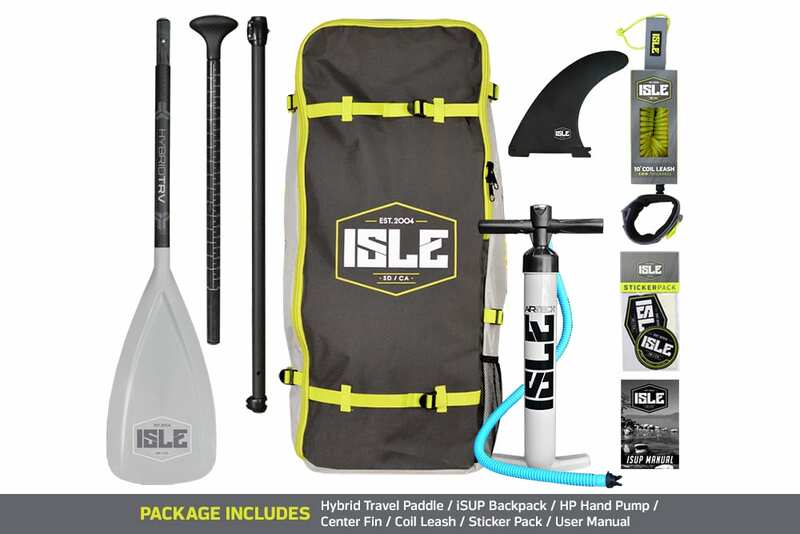 The ISLE Inflatable All Around Paddle Board makes the sport of paddle boarding accessible to everyone. 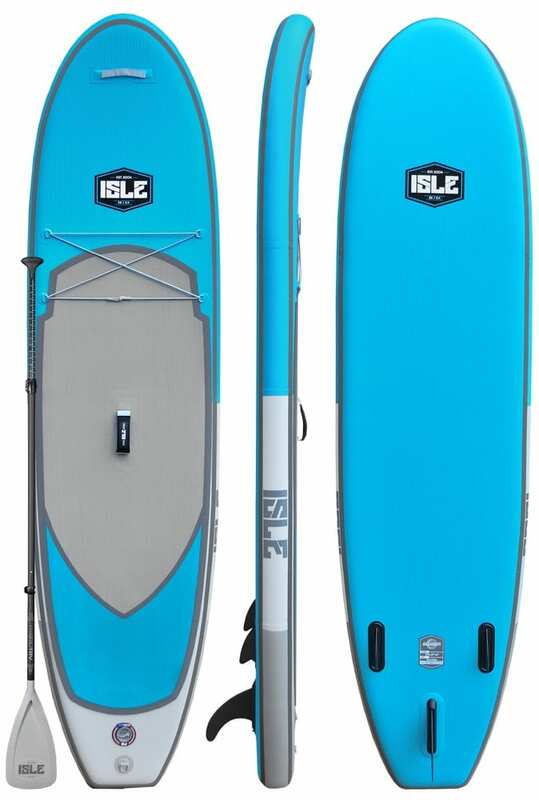 It has a full outline which makes this versatile SUP ideal in all bodies of water, yet compact and light enough for travelers on the go. 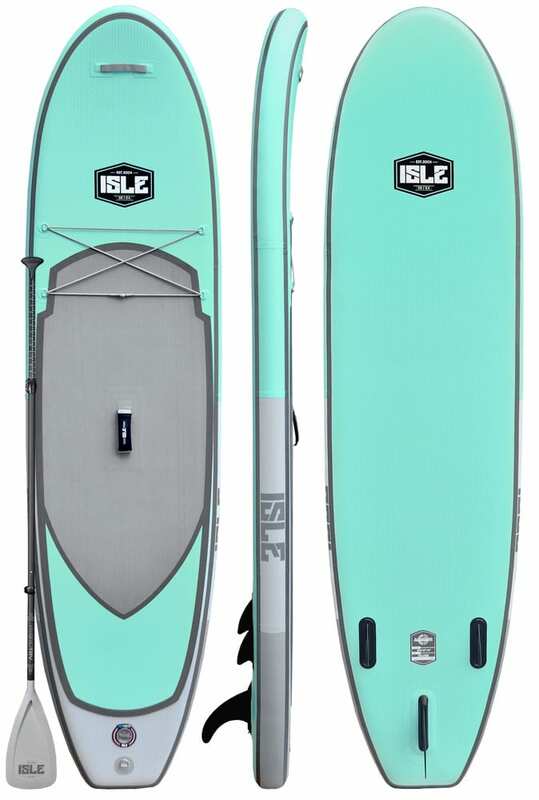 The three-fin setup allows for great tracking in small waves or wind chop plus the 6-inch thickness increases the volume for extra stability and long lasting performance. The boards front mounted bungee system allows for simple, quick gear attachment for handy access, and a neoprene center comfort grip handle for convenient transport. 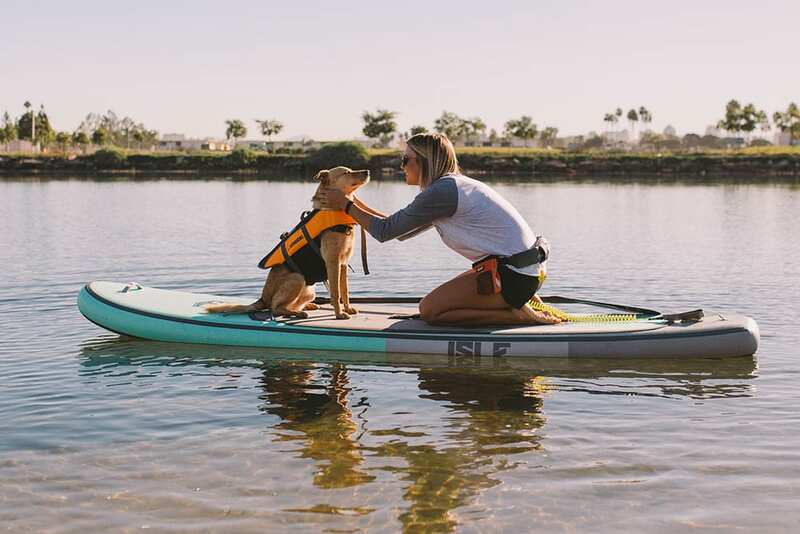 Equipped with a front nose handle for easy accessibility during loading and unloading plus the stainless-steel D-ring on the tail makes attaching the leash super easy. No need to worry about dings or scratches; our inflatables are constructed with military grade outer skin so they’re forgiving when bounced off rocks, car roofs or any hard surface. Center-situated carry handle grooved for comfort and no-stress transport, offering maximum leverage for moving your board with ease. Sits flush on the deck when not in use for smarter storage. Quality, high-pressure inflation valve rated for up to 12 PSI. Can easily be locked into open or closed position for simple, rapid inflation or deflation – under 5 minutes. Fully equipped with a single stainless steel D-ring on the tail, perfect for quickly attaching a leash or tying up to a boat or dock. The snap in inflatable center box fin is super easy and quick to attach when you want to maximize your time on the water.